On behalf of admin of JML Law, A Professional Law Corporation posted in Police Misconduct on Wednesday, Jun 27 2018. California lawmakers have launched their strongest crackdown on police misconduct in Los Angeles, Long Beach, and elsewhere across the state. While a bill that would make police misconduct records more public is making its way through the state legislature, California lawmakers are also preparing to change the standard for when police officers are legally permitted to use deadly force. Last month, lawmakers introduced a bill which would unseal records related to such serious crimes committed by police officers as police brutality, use of excessive force, sexual harassment and assault, lying in police reports, racial discrimination and many other forms of police misconduct. Under the proposed bill, these records would be unsealed 18 months after the act of police misconduct. But this is not the only bill that could substantially reduce the occurrence of police misconduct in California. If the bill passed, police officers in Long Beach and all across California would be discouraged from indiscriminately using deadly force, as the bill would set a clear and unambiguous limit as to when that force can be used. Our experienced police misconduct attorney in Los Angeles explains that lawmakers in California are poised to alter the standard for when law enforcement are allowed to open fire when arresting individuals. If lawmakers vote in favor of the bill, called “Police Accountability and Community Protection Act,” California will become the first state in the U.S. to enact restrictions on when police can use deadly force. The bill was first introduced in California after a police misconduct incident, in which Sacramento police shot dead Stephon Clark, a black man, because police said it mistook Clark’s cellphone for a gun. Following the shooting of Clark, California and other states erupted in protests, prompting lawmakers to take action against police’s nationwide police misconduct against unarmed black men. Fact: An unarmed young black man is 20 times more likely to be killed by U.S. police officers compared to young white men. When will police officers be allowed to open fire? “Currently, law enforcement are allowed to open fire and use deadly force when there is ‘reasonable cause’,” explains our Los Angeles police misconduct attorney from the JML Law. This standard has not been altered or updated for nearly 150 years, since 1872, making it the most outdated law on the use of deadly force in the U.S.
“Why California?” you may be wondering. In California, more people are killed at the hands of police officers than in any other state in our nation. 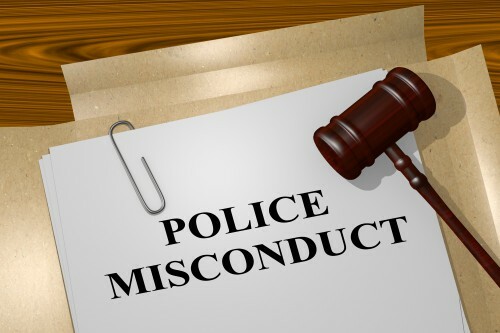 It is unclear whether or not the bill will pass, though it is worth mentioning that lawmakers have failed to pass quite a few bills related to police misconduct in recent years. How to sue law enforcement for police misconduct in California? Needless to say, law enforcement agencies in California are up in arms against the new bill, arguing that police officers would not be able to save many lives because of this bill. They argue that police officers would be more likely to second-guess their decisions in the field out of fear of being sued. This, they argue, would result in more criminal activity in California, and more casualties at the hands of criminals. Have you or any of your loved ones been a victim of police misconduct in Long Beach, Los Angeles, or elsewhere in California? Do not hesitate to schedule a free consultation with our skilled lawyers from the JML Law. Call at 818-610-8800 or fill out this contact form for a free case evaluation.